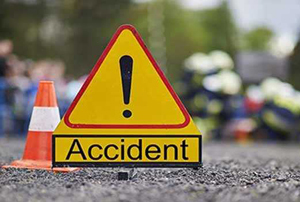 Bantwal, July 05, 2018: Two bike riders sustained serious injuries when their two-wheeler was hit by a lorry at Parlottu near Vitla Neralakatte on July 5, Thursday. The injured are Bilal and Altaf, residents of Patrakody. They have been admitted to a hospital in Puttur. The lorry which rammed against the bike was proceeding towards Puttur. Vitla police have registered a case.